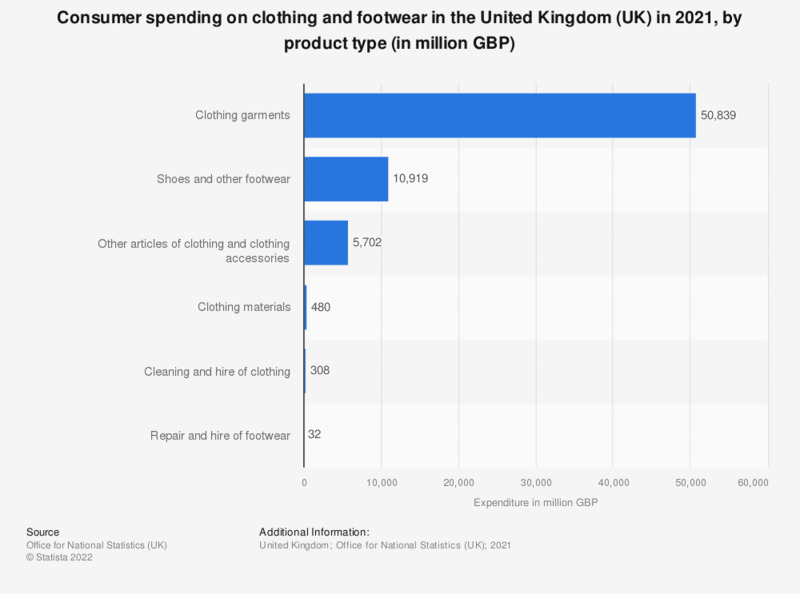 This statistic shows total consumer spending on clothing and footwear in the United Kingdom (UK) in 2017, by product type. In 2017, over 12 billion British pounds was spent on shoes and other footwear in the UK. Clothing, including clothing materials, garments, accessories and other articles of clothing (but not footwear) totaled approximately 60 billion pounds.